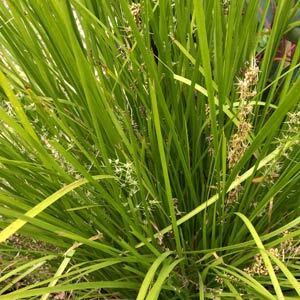 A group of clump forming grasses found across Australia and with a few Lomandra species into New Guinea, some are wonderful landscaping plants. With over 50 species they are found widely along the east coast of Australia from Cape York through to Victoria and South Australia. Generally described as a clump forming perennial, they are popular for the drought tolerant nature, easy care and generally low maintenance requirements. The species do differ in growth habit including height, foliage form and foliage colour. Some are more suited to damp conditions than others, however all are very hardy plants. A number of species are widely used in roadside plantings, streetscapes and general landscaping projects, many of these are selected or improved forms, chosen for the foliage colour and height. A few species have fragrant flowers and this includes L. confertifolia. Alo used as a low growing border plant and many are suited to growing in containers. Lomandra filiformis – Commonly called the Wattle Mat Rush.